Jamillah is a highly motivated leader who brings energy, enthusiasm and dedication to a team-oriented organization. She has strong problem solving, communication and customer relations skills. She is adept at envisioning the big picture and exploring new avenues of thinking. Jamillah has exceptional organizational skills with a keen sense of observation and works well in demanding,deadline oriented situations. She is an outstanding employee motivator and mentor and is goal oriented with a commitment to producing quality work. Jamillah has lived in Las Vegas for over 30 years and has an extensive business and personal network and in-depth community knowledge. In 2010, Jamillah joined the board as a director of a national Parkinson’s organization. Her event planning and organizational skills bolstered visibility of the organization in Southern Nevada. In a short time, not only was she able to do events, she was also able to make a difference in the lives of those with Parkinson’s disease. This is where the passion started. To see the needs of the Parkinson’s community not being met was a big deal. Jamillah has lived her life in service, to make a difference. There was the drive and desire to change the lives of those with Parkinson’s disease. The empathy and concern she developed for the Parkinson’s disease community has become her life mission. She works with the national organizations to affect the local community by being a driving force bringing awareness and visibility to those affected by Parkinson’s disease. 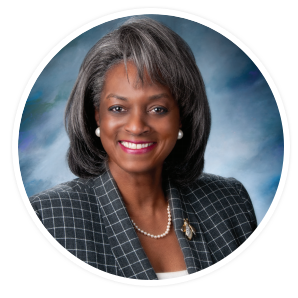 Jamillah has a strong sense of community, and when given the opportunity to speak for needs of the PD community in Southern Nevada, she has. Because of her passion for the community, she works to develop more resources dedicated to supporting the PD community in Southern Nevada. Jamillah founded Friends of Parkinson’s in 2014. The ongoing mission of Friends of Parkinson’s is to connect and unite local organizations and groups which support PD education and advocacy. These endeavors are being supported by outreach, support groups and scheduled signature events. In organizing the Friends of Parkinson’s, Jamillah has developed relationships throughout the United States that understand and encourage the need for continued research while creating a strong community. Friends of Parkinson’s (FOP) is a non-profit organization that serves, educates, and advocates for those affected by Parkinson’s disease throughout the United States. It is a coalition of individuals, companies and organizations which strives to provide the highest quality service and care to the Parkinson’s community.